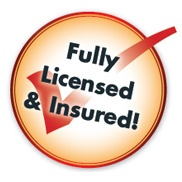 To learn more about your system and pricing, please click on the image below. 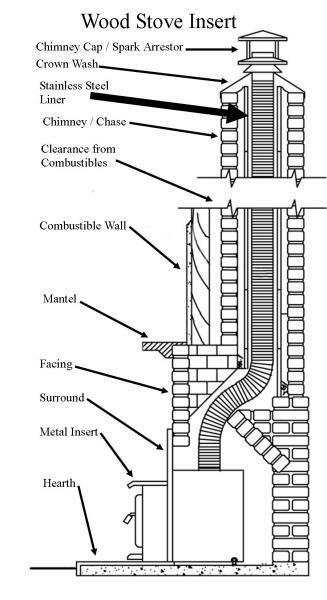 What is a Masonry Fireplace? 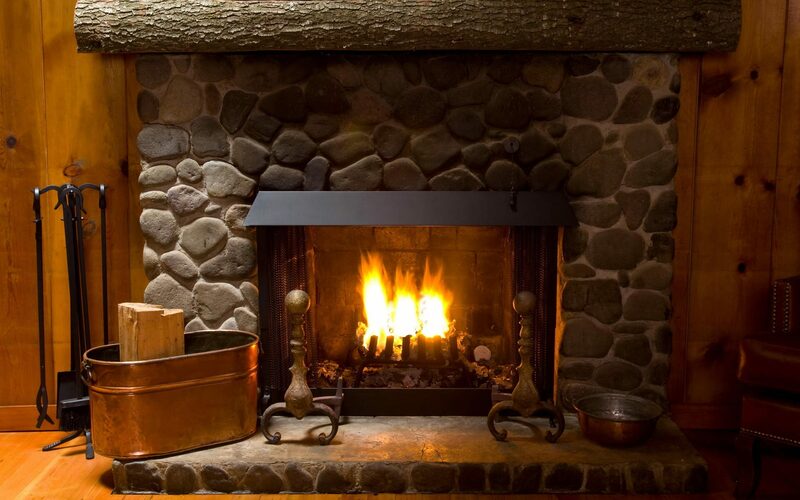 Masonry fireplaces are structures that are created with the use of materials such as brick, cement blocks, or natural stones, and meant to hold a fire safely. The construction will include the use of some sort of binding agent that helps to hold the individual components together. 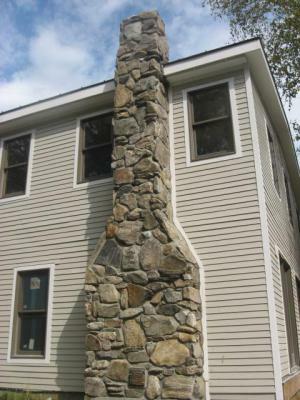 Common in the creation of fireplaces throughout the world, masonry continues to be used in the construction of new homes. 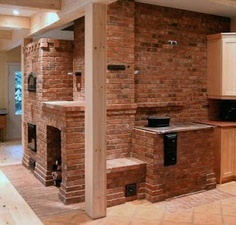 Just about all forms of the traditional fireplace are actually masonry fireplaces. 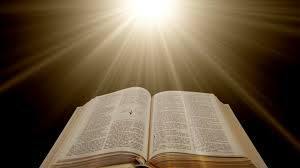 Depending on the design, the material used may be of one or more types. 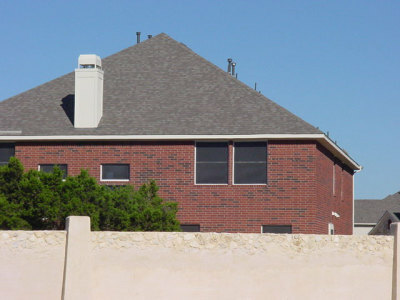 One may be constructed mainly of bricks that have been cured and fired, but attached to a facade of stones that are fixed in place with the aid of cement or other binders. The stones may be smooth and uniform or be an eclectic mixture of shapes and sizes. 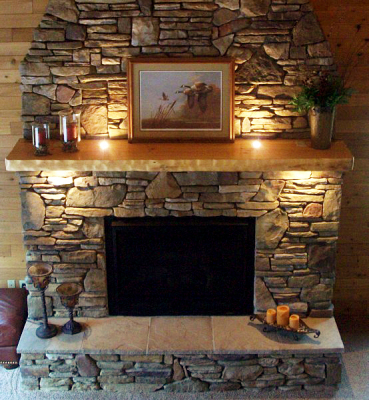 In general, a masonry fireplace is created for the purpose of acting as a heat-generating source within the home. 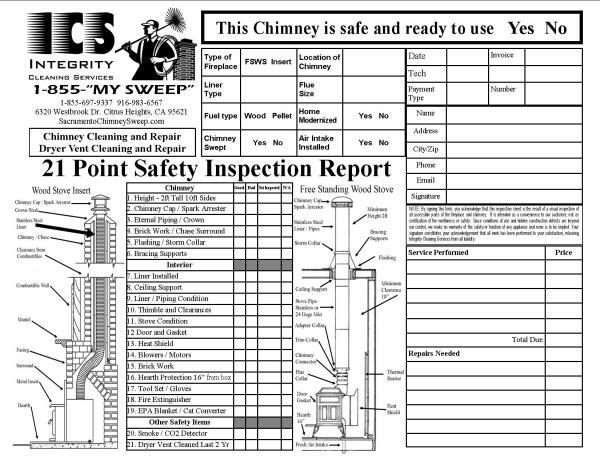 As such, the chimney section of the fireplace will be outfitted with a flu and other mechanisms that allow the homeowner to close the fireplace when the device is not in use, or open the flu when the fireplace is in use. 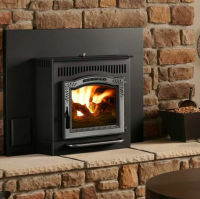 While it is normally intended to function as a wood-burning fireplace, many people have opted to install gas jets into traditional fireplaces and make use of gas heaters or logs. 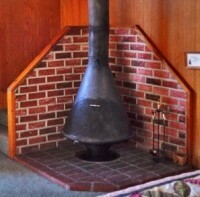 What is a Factory Built Fireplace? 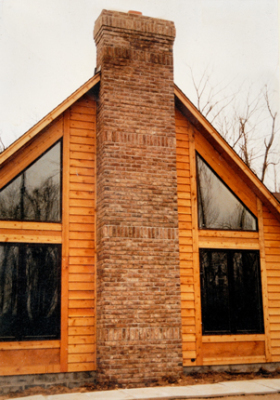 The biggest difference between a factory-built fireplace and a masonry built fireplace is one is built in a factory and the other is constructed on site by brick masons. 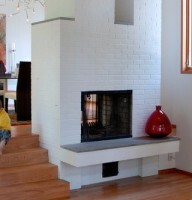 The factory built fireplace is made with UL-listed components and installed on-site. 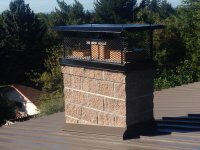 The masonry built will also have components that are approved and meet the current local fire and building codes in your area. 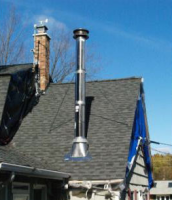 Factory built chimney’s have a metal flue pipe system that provides a way to vent smoke out of the house. 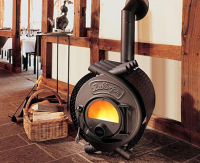 Typically, factory-built fireplaces are smaller and while some have blowers built in them many do not. 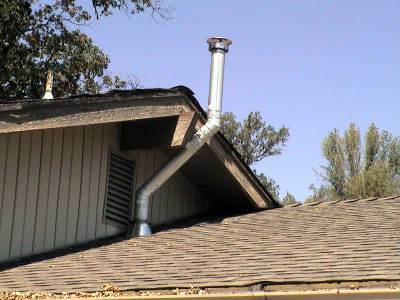 The factory-built chimney is typically enclosed in a wooden chase that is covered by a metal cap to prevent water and provided with termination cap on top. 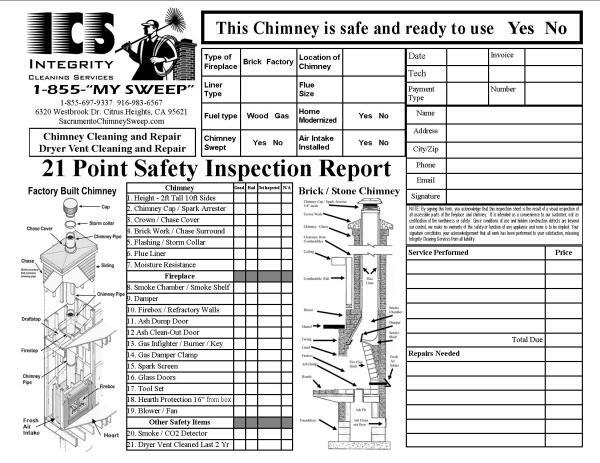 While it has been said that a factory built fireplace is safer than a masonry fireplace, there is little to no evidence to back this up. 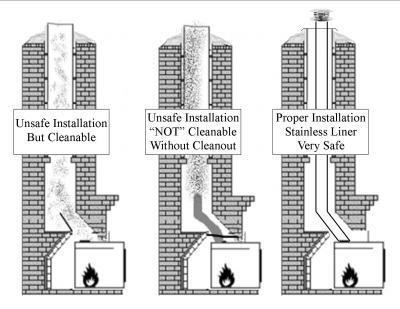 So the truth is that factory-built fireplaces are not any safer than masonry fireplaces; they’re just different. 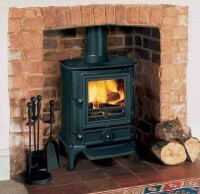 Both types of fireplaces will work in most situations and can provide years of warmth and enjoyment for any family. 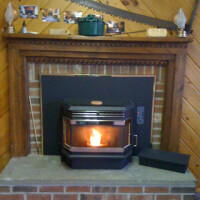 What is a Stove Insert? 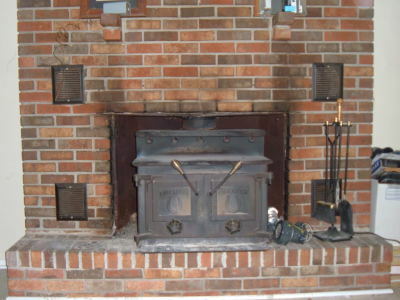 An insert is a cast iron or steel box that fits inside your existing masonry fireplace opening. In essence, making it work much like a wood-burning stove. 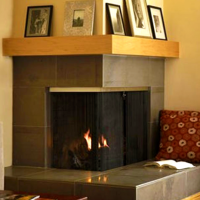 A decorative flange fits around the outside edges so that no gaps appear between the unit and the sides of the fireplace. 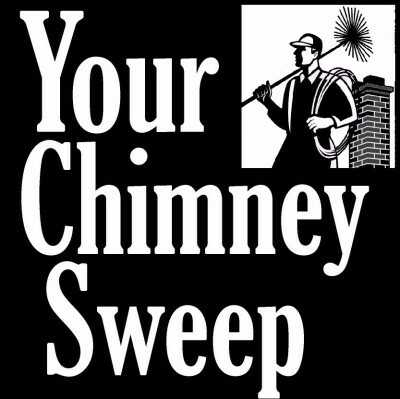 You’ll be required to install a chimney liner to carry combustion gases and smoke up through your chimney. 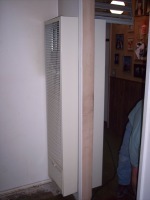 Fireplace inserts have clear, heat-proof glass doors. 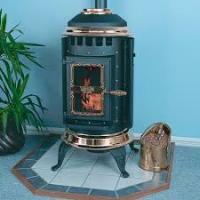 The best designs circulate air within the firebox in a way that helps keep the glass clean. 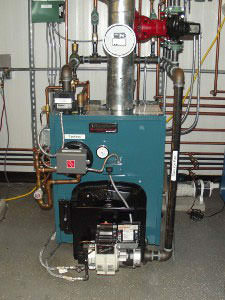 Inserts heat 1,000-3,000 sq. ft., depending on their size. 1. 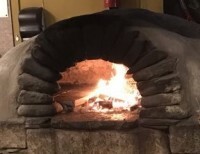 They can burn for three to five hours before you need to add wood. 2. Firewood is an economical fuel in many regions, costing just $922/year to heat a typical home when the wood is burned efficiently. If you cut the wood yourself, it might even be free. If you buy, you support local jobs. 3. 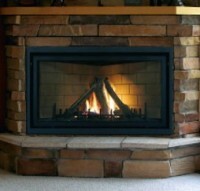 Efficient combustion reduces the amount of noxious gases and particulates produced by an open fireplace. 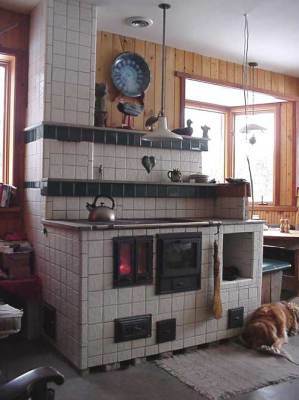 A woodstove, or “free standing stove”, is a steel unit that rests in an open area in the room. 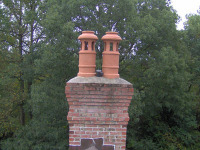 These stoves usually have a flue pipe that goes up through the ceiling and roof, or sometimes through a wall and then up the outside of the house. 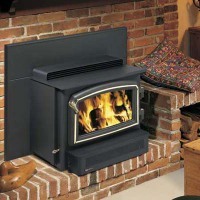 An insert is the same thing as a woodstove, except that it is designed to be pushed into the opening of a regular fireplace. 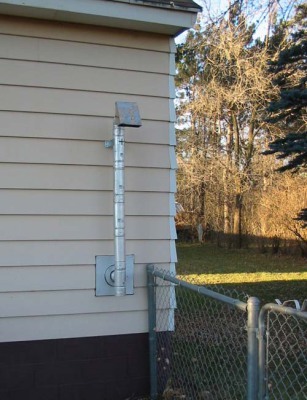 Inserts are required to have a steel liner attached that guides the smoke safely out the house. This liner runs up through the existing chimney. 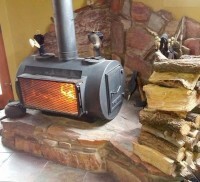 Woodstoves and inserts sometimes make more creosote than open fireplaces, because they have a control that lets the user limit the amount of air that enters the unit. When wood burns in limited air, more creosote is formed. 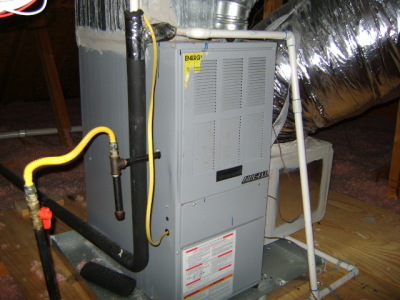 There is a tradeoff in this, however, because limiting the available air will make the wood last longer. 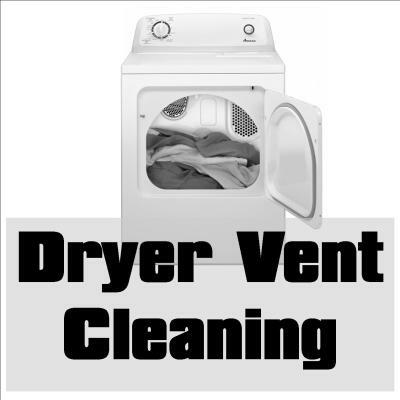 It is best to keep the air inlet open nearly all the way, and control the burn by using smaller loads of wood, more frequently added. This will keep the creosote buildup to a minimum. Of course, both woodstoves and inserts need to be cleaned and inspected, usually more frequently than an open fireplace. 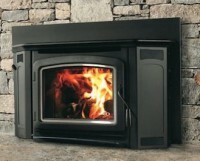 Pellet stoves come in different sizes, styles and colors, tailored to suit the specific needs of your home. 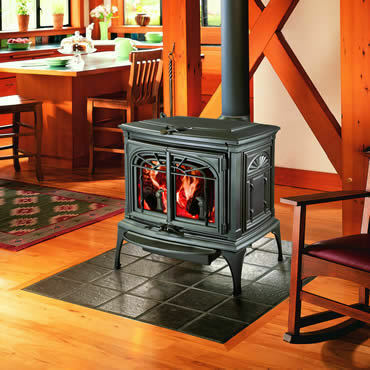 While there are many different models on the market with all kinds of bells and whistles, there are a few key characteristics that differentiate one wood-pellet stove from another. The first is where the hopper is located. 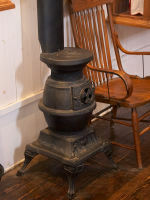 In top feed models, pellets are loaded into the auger from the top of the stove, and the pellets go down a tube into thefire. This design minimizes the chances of the fire burning up to the hopper but is also more likely to get clogged with ashes. For that reason, it requires high-grade pellets that are low-ash. 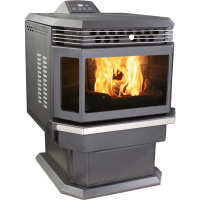 However, the top-feed stoves have the advantage of better heating efficiency because pellets stay in the burn box until they're completely burned. 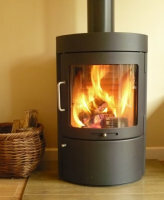 Bottom feed hoppers deliver the pellet horizontally, from behind or beside the fire. This design allows you to use standard grade pellets because the horizontal movement inherently moves ash away from the burn area. 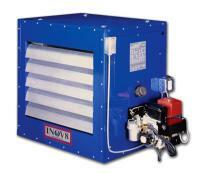 This helps keep air inlets open and requires less cleaning of the burn box. However, bottom-feed models may not be as efficient. We are here for any repair that you may need. 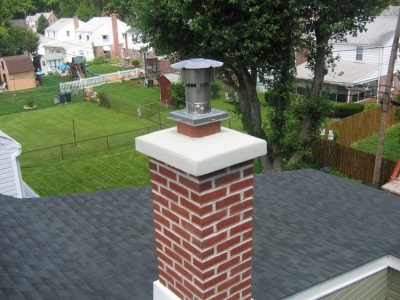 Chimney Cap's, New Pipes, Chimney repairs, and so much more! Please go to our repair page's for more Information.